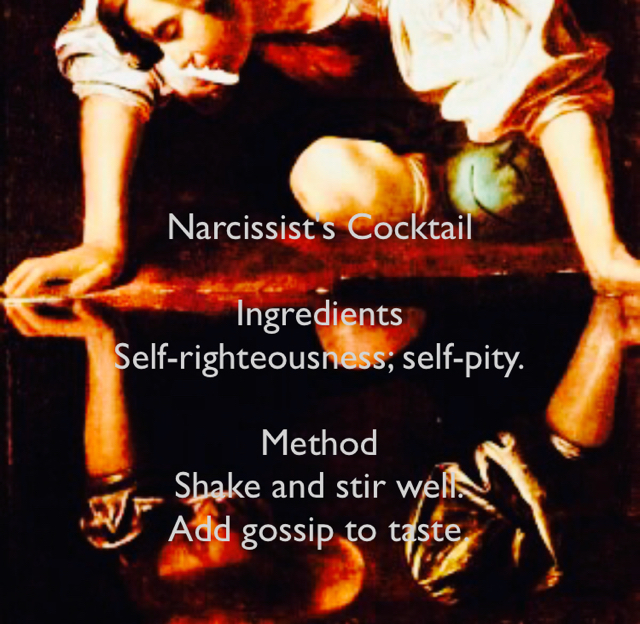 Parable - Narcissist's Cocktail Ingredients Self-righteousness; self-pity. Method Shake and stir well. Add gossip to taste.